Ajax Cape Town are looking set to scrap it out in the National First Division (NFD) next season. This after the Urban Warriors withdrew their urgent application against the Premier Soccer League (PSL) to interdict the start of 2018/2019 top flight season. As a result, the league will likely now be going ahead as scheduled on August 4, 2018. Ajax's decision was taken after Judge Denise Fisher had on Thursday announced that the PSL had leave to appeal her previous ruling regarding the Tendai Ndoro ineligibility case, which had effectively reinstated the Cape team back into the top flight. Fisher had earlier this month set aside a previous ruling by SAFA Arbitrator William Mokhari that the Urban Warriors be docked points from the games in which they had fielded Ndoro, the Zimbabwean having been ineligible to play after having represented three teams in one season (a contravention of FIFA rules). Fisher's previous ruling had effectively implied that Ajax ended last season in 15th spot rather than 16th and bottom, which would mean them contesting the promotion-relegation play-offs, the complication being the play-offs had already taken place and had been won by Black Leopards. But after granting the PSL the right to appeal her earlier decision – a hearing which is set to take place on Thursday afternoon - the Cape club have made the decision not to file an interdict to prevent the start of 2018/2019 season. Seemingly having ended their pursuit to avoid the relegation, the Cape side are now set to compete in the second tier of South African football for the first time in their history. 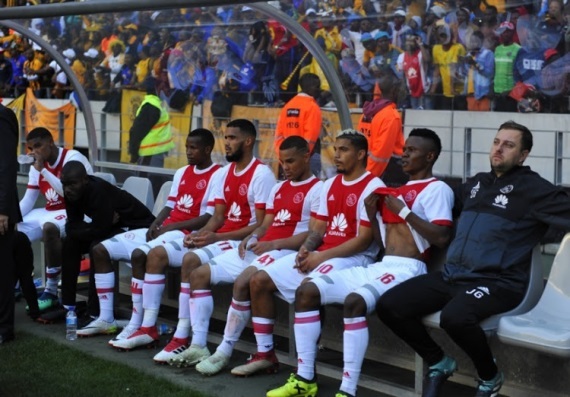 While the saga has been unfolding over the past few months, Ajax have allowed a succession of players to move onto new clubs and they now face a major challenge in rebuilding their squad, while the substantial PSL monthly grant for top flight clubs will also fall away.